Hey everyone, in this blog I want to address a very common MDX Question. 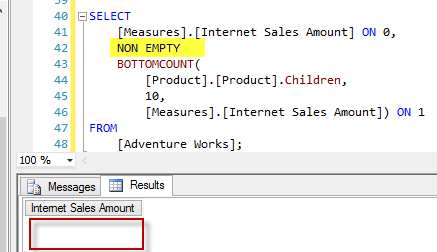 What is the difference between the NON EMPTY keyword and NONEMPTY function? To take it a step further which one should you use? 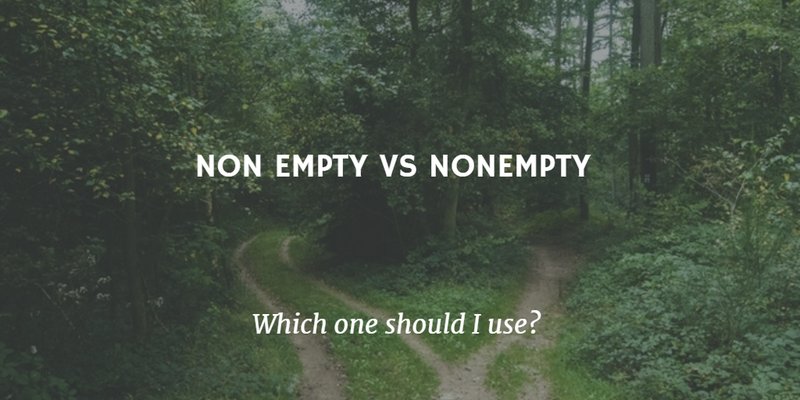 Non Empty keyword VS NONEMPTY Function. 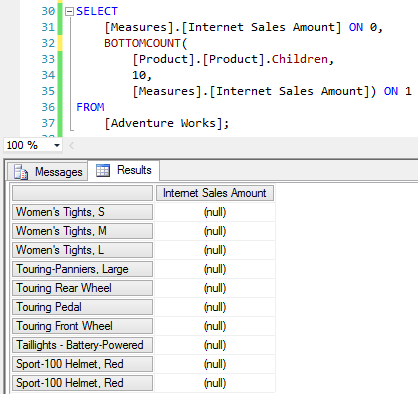 The big difference between the NON EMPTY keyword and the NONEMPTY function is when the evaluation occurs in the MDX. The NON EMPTY keyword is the last thing that is evaluated, in other words after all axes have been evaluated then the NON EMPTY keyword is executed to remove any empty space from the final result set. The NONEMPTY function is evaluated when the specific axis is evaluated. Should I use NON EMPTY keyword or NONEMPTY function? Ok Mitchell, so you told me when each of these are evaluated but really you haven’t told me anything up until this point. Can you tell me which one I should use already? Well, unfortunately, it depends. 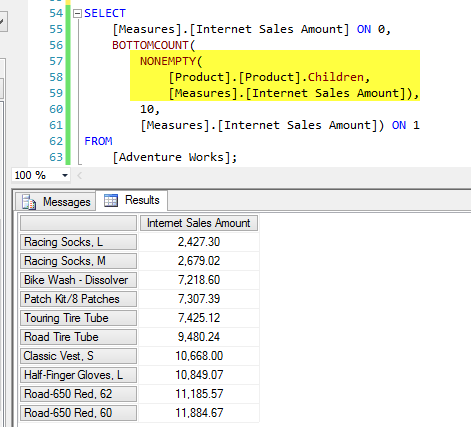 Let’s walk through an example of each using the BOTTOMCOUNT function. In this example I’m returning the bottom ten selling products for internet sales. Notice that I have returned all products that have no internet sales, this is not necessarily a bad thing, maybe you want to return products that don’t have sales. However if you don’t want to return these products then we can try using the NON EMPTY keyword. In the below example you can see the results when I add NON EMPTY to the ROWS axis. WHOOOAAA, what happened?? A lot of people would have expected the results here to show the bottom ten products that DID have sales. However, that is not the case, remember that I said the NON EMPTY keyword is evaluated LAST after all axes have been evaluated. This means that first the bottom ten selling products which have $0 in sales are first returned and then the NON EMPTY keyword removes all that empty space from the final result. BOTTOMCOUNT function with NONEMPTY function. In this code we first remove the empty space before using the BOTTOMCOUNT function. The result is we return the bottom ten products that had internet sales. Once again neither one is right or wrong here it just depends on what you want in your final result. Thanks for taking a look at this blog and I hope you enjoyed it!